Deng Liqun, former director of the Central Propaganda Department and former member of the Secretariat of the CCP Central Committee, passed away last week. His death is a glorious departure, as Mao Zedong previously described the death of Liu Hulan. First, Deng died at the age of 100 — sort of. Technically, he would have celebrated his 100th birthday on November 27, 2015 but he passed away on February 10. Nevertheless, it was decided that he died at the age of 100 instead of 99. Deng is certainly the envy of Bo Yibo, who passed away in 2007 at the age of 99. 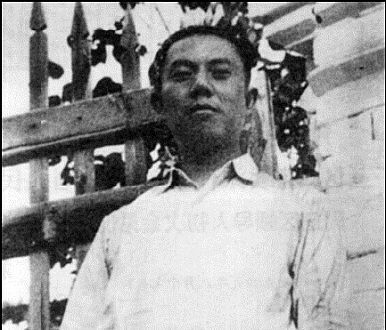 And one of their contemporaries, Hu Yaobang, died 26 years earlier, though Hu’s death had much more profound political consequences. Third, his funeral on February 17, 2015 was well attended. All seven members of the Politburo Standing Committee were present. Jiang Zemin and Hu Jintao, former presidents of China, were also “present” with their elegiac couplets. About 1,000 others, including Deng’s relatives and friends, also attended the funeral. Fourth, his intellectual legacies are likely to be well preserved. A controversial figure in Chinese politics, Deng Liqun was known as the spiritual leader of the leftists in China. He was steadfast as an advocate of the genuine Mao Zedong Thought and as an opponent of Deng Xiaoping’s open-door and reform policies. In his eyes, Deng Xiaoping’s policies opened the doors to capitalism and seriously undermined socialism in China. Apparently, even though China has indeed practiced capitalism in the past three decades, Deng Liqun’s criticisms are hard to refute in the official discourse of the CCP. On the contrary, his intellectual legacies will find their place in today’s China, because the Party is still pretending to uphold socialism in China and to develop China’s Marxism. Farewell, Deng Liqun. You may rest at ease.